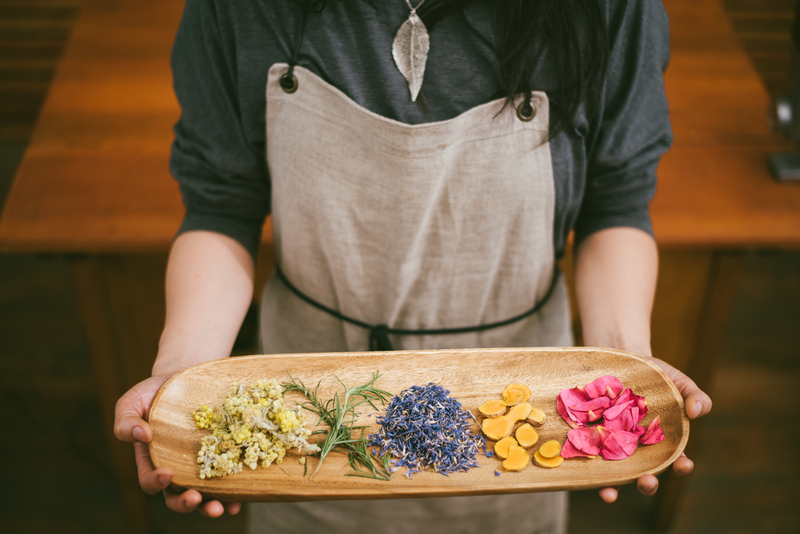 Blendily is a "seed-to-skin" care company that is translating the farm-to-table movement to how we approach body care. Founder Ivy whips up seasonally-inspired goodies like cardamom body butter, aloe honey facial cleansers, and a calen chamo balm made from the vibrant orange flowers of the edible calendula plant. Perusing her farmer market stalls and lovely bricks and mortar shop is not unlike walking into a backyard garden meets cozy luncheonette. Bars of soap freckled with rose petals look like sumptious brownies at first glance; rows of beautifully bottled bath salts evoke a well-stocked spice cabinet. 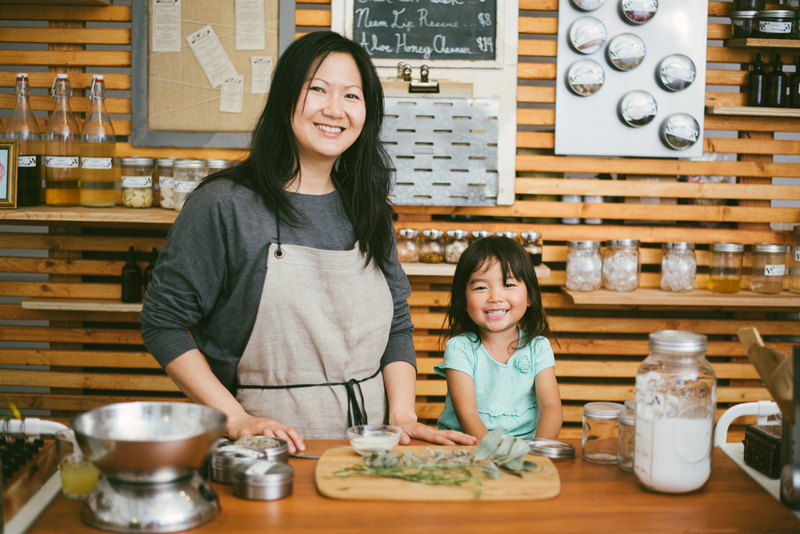 Ivy's intention is to create a natural cosmetics kitchen inspired by what's growing in the local community. She adds new products on a weekly basis, changing up the menu as soil conditions shift and the seasons change. 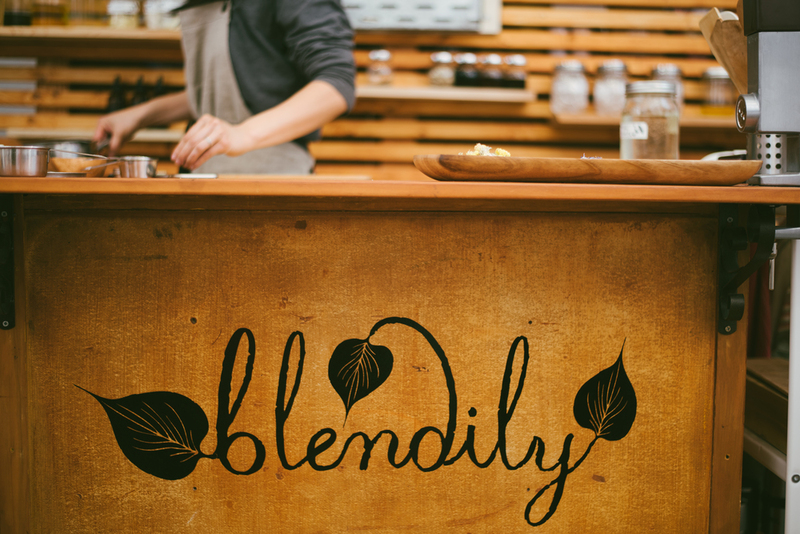 Blendily opened in September 2014 after several years of experimentation and education on Ivy's part. The birth of her daughter coincided with the Johnson & Johnson scandal (researchers discovered that the entire baby line contained carcinogens that were released as certain chemicals reacted). Ivy found herself increasingly cognizant of just how many layers of "unknowns" applied to every product that she used. And so, inspired to learn more about the origin of ingredients, she went to school to study aromatherapy. 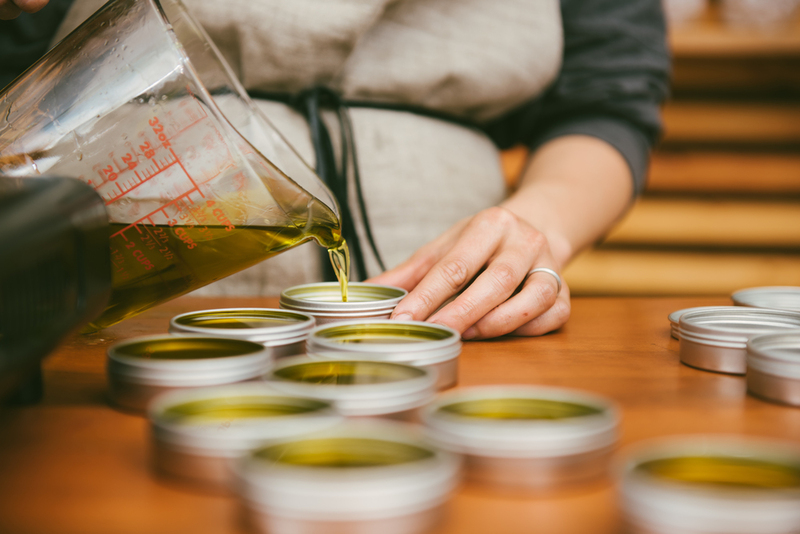 Although creating natural beauty products isn't "rocket science," Ivy shares, her formalized education has given her great insight into the healing properties of locally-made and seasonally-inspired skin care. 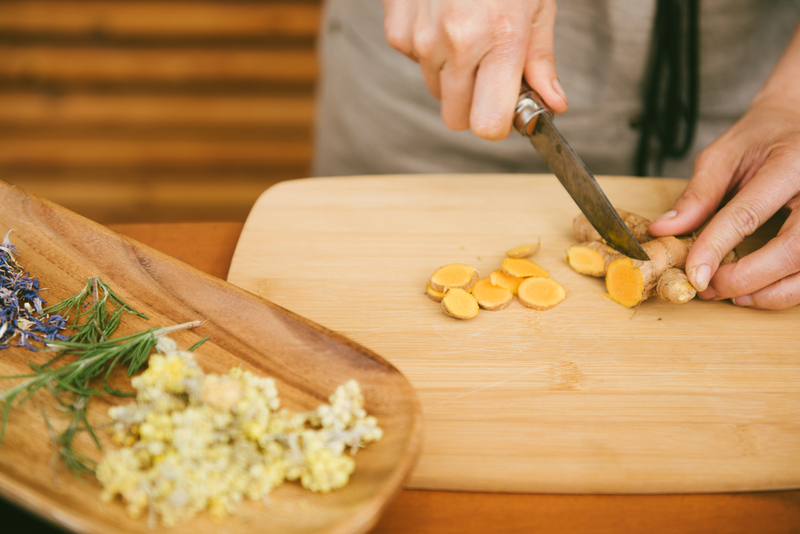 Her ingredients are fresh, organic, and wild, and most importantly, sustainably harvested. Part of what makes Blendily feel so fresh is that Ivy considers distance when it comes to crafting products. "Green beauty" is all well and good, but few companies have focused on the carbon impact of producing certain "natural" goods. An organic ingredient doesn't guarantee a sustainable production process. Many of the organic roses in essential oils, for example, are flown in thousands of miles from Bulgaria. By sourcing from Oregon's natural bounty, Ivy helps promote Portland's local economy and keep Blendily's carbon footprint tiny. Her honest approach to environmental stewardship and skin care has turned Blendily into far more than a purveyor of beauty products. Blendily is a site for education and connection, for meditation and self-care. And by reworking commonplace herbs and familiar plants into luscious lip balms and healing blends, Ivy reminds us that our food has multiple uses beyond alimentary nourishment. It's a fact that's easy to forget when so many of the ingredients in a simple shampoo are unrecognizable. 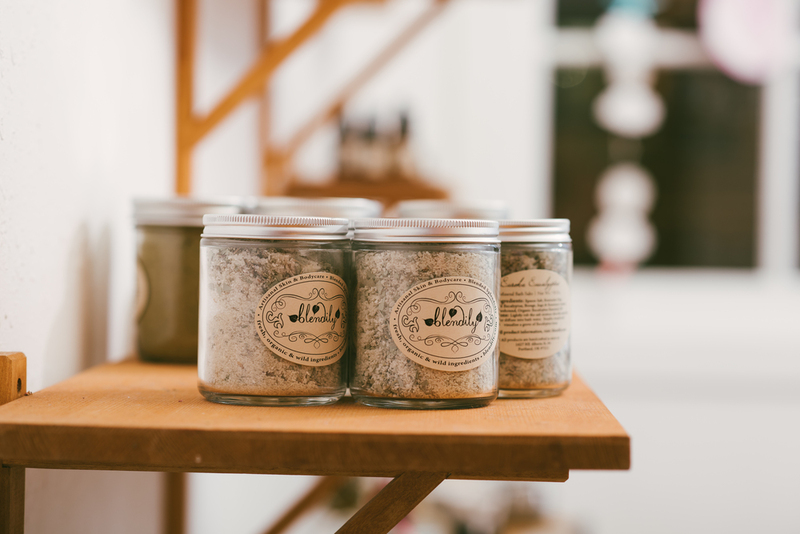 Starting this fall, Ivy will offer classes that teach people how to make products like bath salts and salves using autumnal finds and herbs dried over the course of the summer. It's an integral step in Ivy's vision of providing a space for people to connect to nature through how they take care of their bodies. Extending the same thoughtfulness that we put into choosing our food toward selecting our beauty products isn't just kind to ourselves; it's good for the earth and respectful of the many healing powers inherent in the plants that surround us.